The Red Devils manager has claimed that Manuel Pellegrini’s side are concerned with the recent performances of their city rivals ahead of the Manchester derby on Sunday. LOUIS VAN GAAL believes Manchester City are worried by Manchester United’s form ahead of next weekend’s derby. United welcome rivals City to Old Trafford on Sunday with both teams vying for second spot behind Premier League leaders Chelsea. Van Gaal’s United have won their past five league fixtures to climb into third, one point above City, who play Crystal Palace on Monday. And the Dutchman said confidence is sky-high in the United dressing room as they look to build on wins against Liverpool and Tottenham. 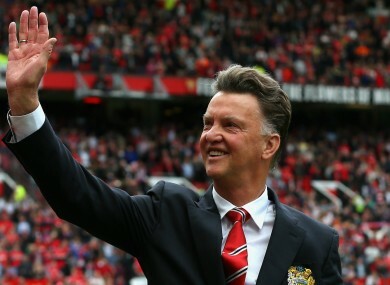 “Of course form plays a part in the spirit of our opponents and also our players,” Van Gaal said. “We have more confidence now and when they lose a point then it’s also sitting in their minds. Maybe it plays a role but that is dependable on the individual player and I don’t know the individual players of Manchester City so well. United have lost their last three fixtures at home to City, conceding 11 goals, while Manuel Pellegrini’s men claimed a 1-0 victory in the most recent meeting at Etihad Stadium in November. Sergio Aguero scored the winner that day but a lot has changed this since then, with United more settled under Van Gaal five months on. “It was another Manchester United, I believe,” he said. ”That was more in the start of the process and now we are in the end of the process. Now we have developed the team. Email “Manchester City are worried by United's form, says Van Gaal”. Feedback on “Manchester City are worried by United's form, says Van Gaal”.